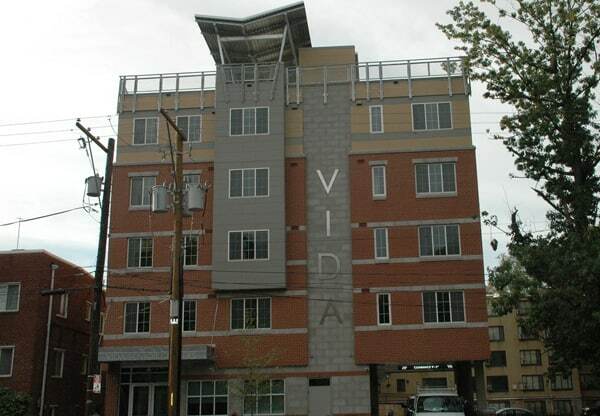 VIDA Senior Centers, a local non-profit that has served area seniors for over 40 years, selected Dantes Partners to lead their first housing development. As Development Manager and Co-Owner, Dantes secured a site in northwest DC via a competitive process administered by the Deputy Mayor for Planning and Economic Development. Dantes was primarily responsible for overseeing the development of the aforementioned site. Working with the District, the Seller and VIDA, we negotiated and executed a long-term exclusive option purchase agreement as a way to minimize risk to our client. Dantes was instrumental in crafting and successfully implementing a complex financing strategy that requires utilizing six (6) various capital sources including Low Income Housing Tax Credits (LIHTC), an Enterprise Green Communities Grant, McKinney Act Predevelopment Loan, a Neighborhood Investment Fund Predevelopment Grant along with conventional debt (construction and permanent). Ultimately, Dantes Partners structured a deal to develop 36 affordable housing units with minimal capital outlay from VIDA. The $8,500,000 development was awarded a competitive allocation of 9% LIHTC in August 2009 and broke ground in the second quarter of 2010. The state of the art building is now home to seniors (age 55+) earning less than 60% of the Area Median Income and provides comprehensive wrap around services on the ground floor to residents and area seniors alike. In addition to the above, Dantes Partners was instrumental in securing a HAP contract with DC Housing Authority for 25% of the units.